I’ve found time to squeeze in another weekend Scenic ride in January, going in a different direction along the Ridgeway. The start is at the bottom of the Barbury steep side (see map posting) setting off along the Ridgeway away from Barbury to Broad Hinton. From there we amble along the valley and a potential pub stop. Then the climb back up to the Ridgeway and the White Horse trail to Rockley. Then it’s back along the valley and up onto the ridge back to the start. The ride will be 27km in length with 350m of climbing and some beautiful scenery. 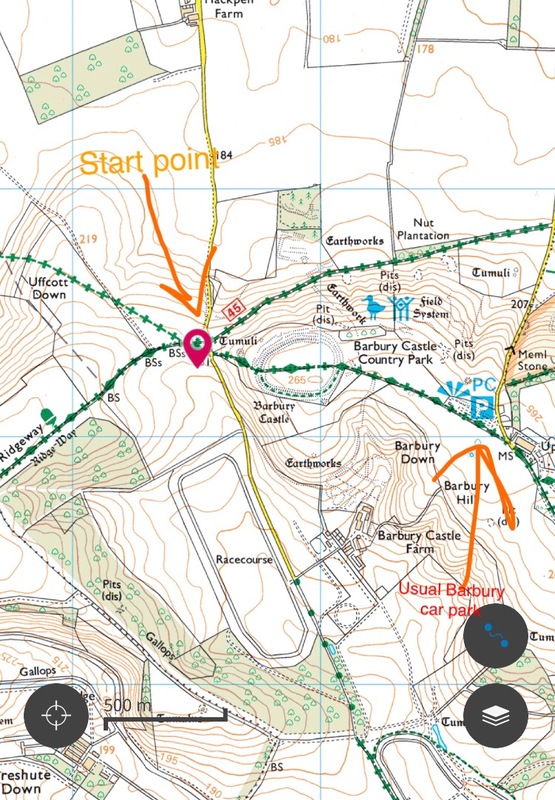 Please see map for the start point, although you can also park at Barbury and cycle down to there if you want. You must wear a helmet and dressed according to the conditions – it’s pretty cold out there still!